One day, with head hung down, the lowly subject known as Sinner found herself standing in the Presence of the King. He guided her to a rugged cross, stained with blood that had trickled down its post. He escorted her to an empty tomb, where burial cloths lay as evidence of One having been there. As He walked with her into the Garden of Easter gladness, she finally understood and accepted the sacrifice for forgiveness of sins. In all her subsequent days, she entered theKings’ Presence on bended knees, with head bowed in reverence, and hands lifted in gratitude. Praise and Worship became her closest Companions…forevermore. ***Okay. I cheated. This is a part of the Christianwriters.com blog chain on the topic of pursuit. My brain isn’t working and I did not have a post so this is a rerun. Dust particles stick in his nostrils and his throat, causing a constant cough. Dirt, imperceptible to him, accumulates between his toes and under his fingernails. His garment looks like an old, shabby rag, needing a good washing and mending. Why? Because he sits in the dirt on the side of the road. Darkness surrounds him, even in the hot, noonday sun. He is blind. He is a beggar. Bartimaeus is his name, but he is usually called more unpleasant things. He begs for coins, any coins, just to buy some bread. An occasional mite plinks in his meager cup. Gratefulness is always offered to his benefactor. People pass by. Their gestures and stifled laughs go undetected. If he could see them, they would be a rushing blur of avoidance. Hunched over with dejection, he sits in the grime, day after day, his soul shriveling a little more with each sundown. “Alms? Alms for the poor?” he cries out each morning, awaiting a response. His voice slowly grows softer by evening, as a sea of discouragement drowns his plea. What’s that sound? cupping his hand to his ear. It’s growing louder and closer. He’s puzzled. “What is that commotion?” he asks someone nearby. “Shhh! Be quiet!” some reprimand him. “Bring him to me,” commands the authoritative voice. “Be of good cheer!” the men say. “Take courage! Get up! Jesus is calling you.” Strong hands grip his arms but Bartimaeus jumps up. Yanking off his old, pauper’s garment, he throws it aside. He walks definitely in Jesus’ direction. “What do you desire Me to do for you?” asks Jesus. “Receive your sight; it is given to you, for your faith has saved you,” declares Jesus. Immediately, the familiar darkness dissipates and unfamiliar light fills his eyes. Shielding his eyes from the brilliance of the sun, what does he see? Jesus! Before him stands a crownless King with gentle, loving eyes, crinkled up in pleasure. He falls to his knees in gratitude. Gratefulness is an understatement! With a myriad of visuals before him, a rush of exhilaration then triggers unrestrained jumping. “I can see! I can see! Thank You, Lord! Thank You!” All those in the entourage rejoice in praise with him. He “saw” his chance and he seized it. His darkness dissipated. And the Light of the world flooded his heart and soul. He left his squatter’s residence, his beggar’s perch. Never to return. For from that day, he became a companion of Jesus, following Him on His journey. I once was blind. 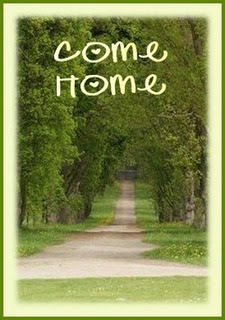 I sat in the dirt on the side of the world, my filthy, old garment needing to be cleansed, my life needing to be mended. Darkness surrounded me. I was a beggar of life. My soul shriveled a little more with each sundown. After falling to my knees in gratitude, I yanked off my dirty rag of unrighteousness and threw it aside. I received my sight and the robe of righteousness. The darkness dissipated; His Light filled my heart and soul. And His eyes crinkled up with pleasure. Unrestrained gratefulness is the order of every day. I can see! I can see! Thank You, Lord! Thank You! I am His companion. 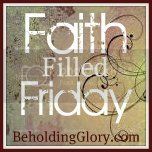 I follow Him, day after day, glorifying Him and giving Him praise. I once was blind…but now I see! After the birth of their daughter, a wealthy and powerful king and his wife found out they could have no more children. 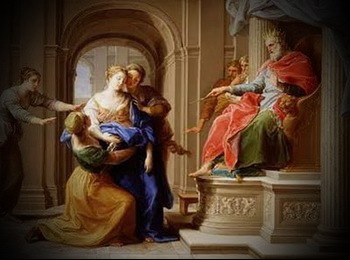 Always wanting a son as an heir to the kingdom, they adopted a baby boy. As the son grew, he could not understand his father’s ways and, although his father loved him very much, he struggled to receive that love. He never felt a part of the family. Missing his son and longing for him to come home, the king sent his emissary to find him. Living by himself in an old shack for years, the son lay destitute and dying. With no insurance or money, he could not afford a life-saving operation. Though others tried to help him, he always refused. “I do not want anything from my father,” and he slammed the door. Grabbing the receipt, he slammed the door shut. A few months later, the son died. Those who knew him contacted his family. His sister came to collect his meager belongings. As she went through his things, she found a worn envelope, unopened, and the ticket for the package. After wiping away the tears, the sister took the receipt for the package and went to the storehouse to collect it. When she got back to his shack, she sat down on the dirty floor and began to open the big box. Her eyes widened in disbelief as she removed the packing. Millions of dollars filled the box. Inside the box, the sister found another note, “My son, this is my gift to you. You never asked for anything, yet everything was prepared and waiting your request. Even though we are separated, I love you with an everlasting love. You have been my greatest care, but you did not want my love. Have you opened the gift of the Father and received the wealth of His kingdom? This is part of Christian Writers blog chain on the topic “coming home.” Please check out the other great posts in the list in the right sidebar. A long time ago in a faraway land lived a benevolent King who deeply loved his subjects. They loved him in return and praised him highly for his generosity. 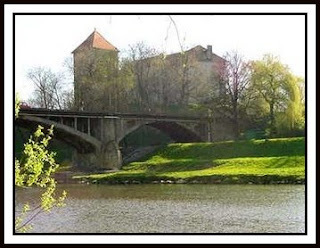 Every day, the King enjoyed walking through the beautiful gardens of His kingdom, which ended at the river’s edge. He would sit beneath a large oak tree, look out to the other side of the river and dream of expanding his kingdom one day, that all the benefits of his kingdom might be shared with those across the great divide. As he watched, the King noticed that the people on the other side came daily to the river, attempting to scrub the stains from their garments. Among them was a beautiful, young maiden. The King thought it was time for the Prince to marry, and, as the custom was for the father of the son to choose the bride, he thought she would be right for the Prince. The King decided to send his son down to the river’s edge in the hope that he would notice the young maiden. Always obeying his father, the Prince went to the river’s edge, veiling himself from view. He watched as the people came to wash their garments and saw the young maiden. She captivated his heart. Each morning thereafter, the Prince arose anticipating a glimpse of the fair maiden. Each day brought another of her characteristics to his attention. One day, he noticed sadness in her eyes. Her shoulders drooped. A frown replaced her ready smile. Something seemed missing in her life. He wanted to console her, put her life back in order. He decided to ask the King for help. Thrilled to hear the Prince had fallen in love with the bride he had chosen, the King told the Prince that it was time for him to cross over to the other side of the river. As there was no way to get there, they agreed a bridge must be built to span the wide divide. The Prince worked alongside all the King’s carpenters to build the bridge, which had never been done before, but he was willing and determined to reach the other side. He worked all hours to finish his task. His hands became bloody. His feet ached. His muscles became twisted, but he never complained. Stories circulated among the people on the other side as to what this meant. Some were amazed at this coming thing. Some looked forward to this new connection with the other side, while others were apprehensive. Some thought it outrageous. Finally, the day arrived when the bridge was finished and it was time for the Prince to prepare to cross over. He pondered how he should approach the young maiden. Should he cross over as the Prince? Maybe she would be intimidated. Should he march across as the captain of his father’s army? That would impress her, but then again, it might frighten her. Should he cross over as a beggar? She might not notice him, and after all, he would be lying to her. He finally decided to leave his royal throne and be as one of the people. He crossed over at a time no one expected. As the dark of night approached, he made his way quietly across the bridge. Once on the other side, he found a place to sleep in a hollowed out tree. That night was glorious. The stars were brighter than ever. 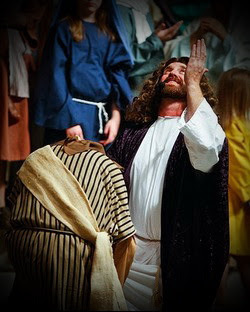 All the throngs of heaven came to applaud him. The next morning, he went into the village and found work as a carpenter. He was very generous, making tables, chairs, and building homes for the people. He did amazing things for them, just as his father had shown him. He lived among them, learning their customs, their traditions, their dialect, everything. He did all he could to show his love for the people, desiring to bring all the benefits of his father’s kingdom into their lives. Some of the villagers accepted him right away. Others were very skeptical of someone new and different, not trusting what he said. Others were offended. One special day, he met the maiden, and, after some time passed, she decided he was the one missing in her life. He proposed. When she accepted, he thought his heart would burst with joy. They became betrothed. As was the custom, he came at midnight and swept her away to their new home on the other side of the river. ~~This parable, of course, illustrates the kingdom of God and how He desired to bring its benefits to earth. I hope you caught the numerous allusions to Jesus’ life. The Son remained hidden behind the shadow of the Old Testament until the Father revealed the time for Jesus to come, to be the bridge, crossing that great divide between heaven and earth. May you know the fullness of all God has promised and may you anticipate Jesus’ coming with joy. 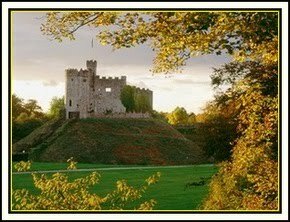 Kingdom…the territory subject to the rule of a king. Kingdom is rule, dominion, royal power, kingship, and sovereignty. To give you some idea of the kingdom, I recently posted a great kingdom analogy. In case you missed it, click here. He also said, “The kingdom of God is not in word but in power.” (1 Cor. 4:20 NKJV) The Kingdom is not in the excellence of our speech but in the influence of our power. In other words, it is the powerful influence of divine truth on the hearts and minds of others. That gate is the cross of salvation. What keeps one out of the kingdom? Of course, the first would be to not accept God’s Kingdom rule into your heart in the first place, to refuse Jesus’ salvation. Poor indeed is the heart that does not know the extent of the love, forgiveness, and power of God’s Kingdom. 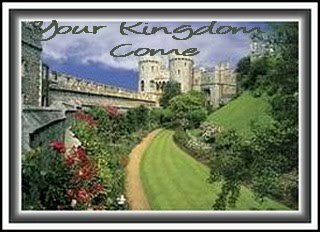 Lord, Your Kingdom come…into many hearts! In days gone by, when a king or a sovereign of a country wanted to spread his authority and influence to a new territory, he sent his son as an ambassador (or he sent an ambassador) to represent his kingdom in a foreign land and set up a foreign mission office or embassy. An ambassador is a citizen of a country and is chosen or appointed by the ruler of his country. He is sent to a foreign land to represent his ruler on an official mission to establish a base of operation for transacting business for the home government. During his stay, he lives in the embassy, which is the site of all official business conducted for the government it represents. The embassy is a gated community, the ambassador’s safe haven from any enemies or intruders. Unless invited, a citizen of the foreign land (as an enemy) may not enter the sealed off district without the consent of its ambassador, because the representative of the kingdom has control of the gate. Therefore, to enter the front gate, a citizen of the foreign land must first get permission or be issued an invitation by the ambassador. The ambassador has been given the keys of authority to lock and unlock the gate. The ambassador is sent to represent the traits, customs, and so on, of his ruler and his country. Where the embassy of the kingdom exists, the language of the kingdom is spoken. The ambassador’s speech then reflects on the king. The land of his birth can be distinguished the minute he opens his mouth. His accent and language are a give-away, for he is speaking the language of his kingdom, his homeland tongue. While on this foreign mission as the ruler’s spokesman, the ambassador carries the authority of the word of the ruler of his country, upholding the commands and laws of the homeland. He is critical to the ruler’s efforts of establishing a forefront of the ruler’s presence in a foreign land. 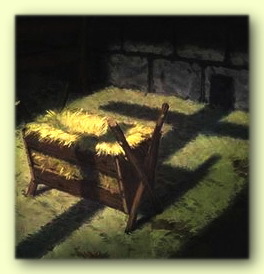 Our personal application: The Father, the King of heaven, sent His Son as His Ambassador to extend His Kingdom on earth. We were all “aliens from the commonwealth” (Eph. 2:12 NKJV) until we became naturalized or citizens of the Kingdom. We are “fellow citizens with God’s people and members of God’s household,” (Eph. 2:19 NKJV) living as outposts in a foreign land, in the land of the enemy. Our Sovereign Ruler has endowed us with the rights, freedoms, privileges, immunities, and duties of citizenship of the Kingdom. We also have the right to be protected by the Kings’ army to defend us from any enemy that would attack the embassy gate. But we are also expected to obey our duties as citizens. Within the confines of our gated community, we are protected; it is our safe haven. We have control of the gate. We have the keys of the Kingdom. We carry the authority of the Word of our Sovereign while we are on our mission for Him. We play a critical role in His efforts to expand His Kingdom to others. As a citizen of God’s Kingdom, what we say reflects on our King. The words we speak will identify which kingdom we represent, letting everyone know our native Homeland. We are to exhibit the character of the One that sent us, reflecting graciously on the Sovereign of our Homeland. As the law outside the compound of the embassy is the enemy’s territory, so we are to stay out of the world’s manner of doing things. The world’s system has no place in a believer’s life. As we have been chosen and have accepted this responsibility, we carry on the mission of our Ruler amidst diverse and hostile natives. We represent our King as ambassadors to a world of foreigners. We are to make known the dominion of our King, to give His perspectives on life, to show others what life is like in the Kingdom in which we live, and to recruit new citizens for the Kingdom. not knowing yet His future test. all creation in glory knowing. as crossed shadow falls on His face. now filled with man’s future grace. I’m over at my friend Susan Panzica’s site, Eternity Cafe. Come visit us!